Make your Florida dreams come true! 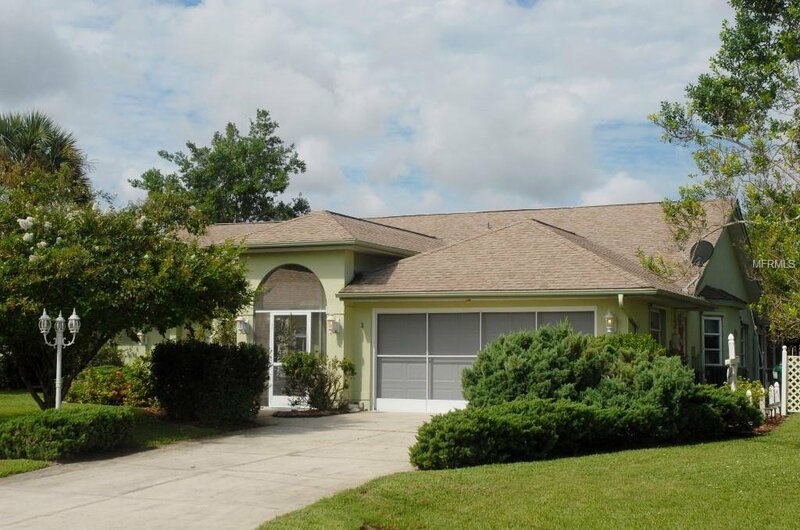 This Rotonda waterfront 3 bedroom 2 bath pool home has been lovingly maintained. Enter into this light and airy home through it's front double doors. Family/dining area features vaulted ceilings, plenty of space, and direct access out to spacious lanai and pool. The kitchen has newer stainless steel appliances, granite counters, under cabinet lighting, and plenty of room for entertaining. Master bedroom has an intimate sitting area attached overlooking the crystal clear pool. Large walk in closet, master bath with dual sinks and shower. This homes split floor plan offers 2 other comfortably sized bedrooms, one with built in shelves and small workspace. Second bath has convenient access directly out to the pool for guests. The owners extended the lanai to accommodate the Florida lifestyle. The pool was just resurfaced, Roof in (2012) AC (2010) new two car garage door (2018). The homes grounds feature 3 patio areas, one with a cute little fire pit to enjoy on those chillier Florida nights. Hurricane shutters are included! The Rotonda community is home to miles of freshwater canals, 99 holes of golf, and only a short drive to some of the finest beaches in Florida. Welcome to paradise. Listing courtesy of DEFINING REALTY CO. Selling Office: RE/MAX ALLIANCE GROUP.